The above information was last updated on February 24, 2018. Provenance information: A2Acollection NL-EhvRHCE_BS-Deurne-11065-4475_54_A2A.xml van RHE, originele record identifier is 932591544. 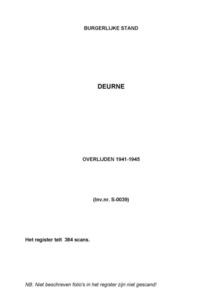 Click the image to view the scan on the website of the archive..
On both the detail page on the website of the archive as well on Open Archives, the report will be sent to Regionaal Historisch Centrum Eindhoven.